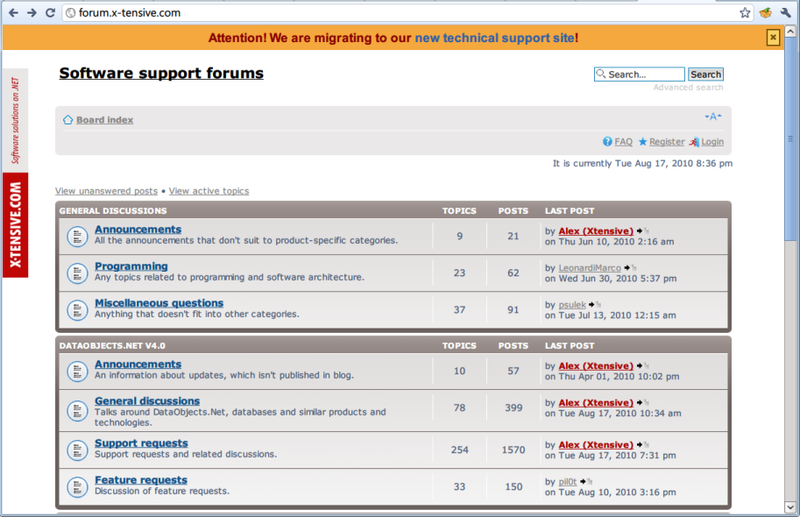 Find and import topics & answers that are created in old forum starting from the date of last migration. Find users that registered on the new support website starting from the date of last migration, find their already imported topics and posts, associate them with their content and update their karma. There is a task that is not yet accomplished: email notification service configuration and testing, but I suppose that it will not take too much time. Having all this stuff done we feel that the new support service is ready for real life usage and, therefore, we are making an announcement that old support forum will be switched into read-only mode in few days.